Roker Pier & Lighthouse has seen numerous shipwrecks in its time. The unforgiving North Sea combined with the treacherous cliffs and rocks along the North East coastline mean that Roker Pier & Lighthouse has seen numerous shipwrecks in its time. One of the earliest was the Dora, a 636 ton collier, which sank just off the coast in 1894. 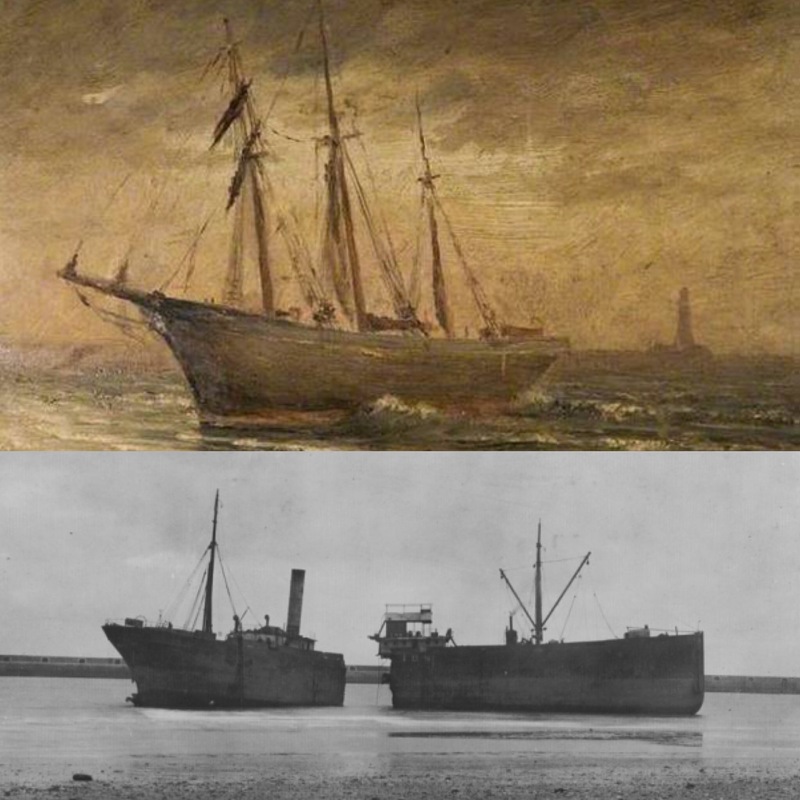 On the 10th October 1903, the Emily Smeed, a 299 ton, 133ft long, wooden schooner, went aground at Roker (top picture). One of the most famous shipwrecks at Roker was the Orion, a 1623 ton merchant ship. She ran aground during a severe gale on the 23rd January 1913. She broke in two and sank in shallow water just off the old North Pier. She remained visible at low tide until 1988 when she was eventually cleared (bottom picture). In 1927, a 1245 ton British coaster, the Efos, struck the pier on the 27th November in a severe gale, damaging a section of the south facing wall. The Sunderland Volunteer Lifeboat Brigade successfully got a line on board and winched the 17 man crew to safety, saving their lives.